Known for giving diners the best bang for their buck with their ginormous serving, Washoku Goen can now be found in Clifford Centre’s Foodfare Emporium near Raffles Place MRT Station. 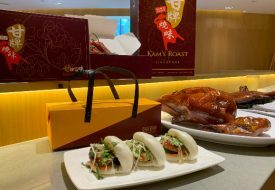 This is Washoku Goen’s 7th outlet with six other outlets located in the food courts of Wisma Atria, Vivocity, Seletar Mall, City Square Mall, West Mall and Marina Bay Financial Center. 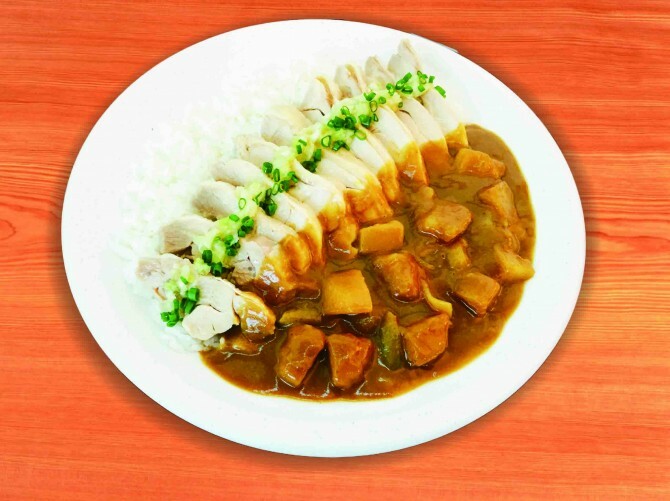 Only the Clifford Centre outlet offers chef’s new creations such as Mushidori Original Curry Rice ($7.80) and Tonpei Original Curry Rice ($6.80). 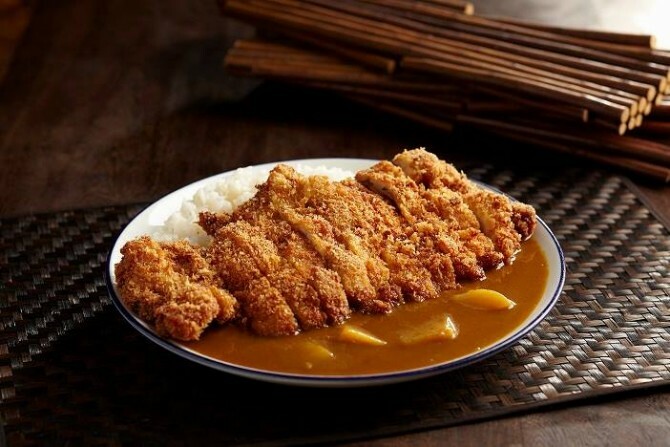 A healthier option compared to the traditional deep fried chicken cutlet, the Mushidori Original Curry Rice uses steamed chicken instead. The tender chicken pieces topped with spring onion remind me of a plate of hearty Hainanese Chicken Rice. 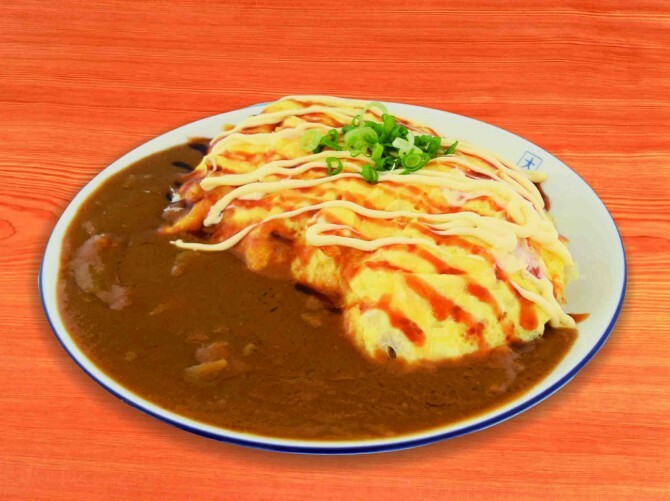 The Tonpei Original Curry Rice, is a pork-stuffed omelette drizzled with mayonnaise and okonomiyaki sauce. This decadently sinful creation is a definite winner. The fluffy omelette encases a mixture of rice, shredded cabbage and grilled pork belly. 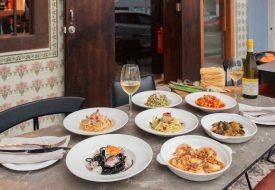 Alongside Washoku Goen’s new dishes are best-selling classics such as their Japanese Chicken Katsu Original Curry Rice and Tonkotsu Special Ramen. The chef only uses dark meat to make the Chicken Katsu, ensuring that it remains juicy despite being deep fried. I also like that the crispy batter is not too thick, providing a good crunch while still allowing the chicken to shine. The secret ingredient for the curry Washoku Goen lies in the Tonkotsu broth that is used as the base. You’ll find that the curry is thicker and more robust compared to your regular Japanese food court stall. Washoku Goen is sure to satisfy the hungriest of CBD executives with its massive portions. 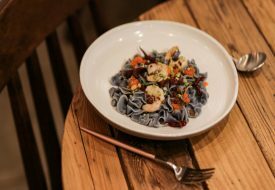 Small eaters could also share a plate amongst colleagues. The best part? The wallet-friendly prices make sure you’ll never have to go hungry, even when it’s a few days away from payday. Clifford Centre, 24 Raffles Place.